Generative sound generator for your dashboard. Is there a better alternative to Circuli? Is Circuli really the best app in Dashboard category? Will Circuli work good on macOS 10.13.4? 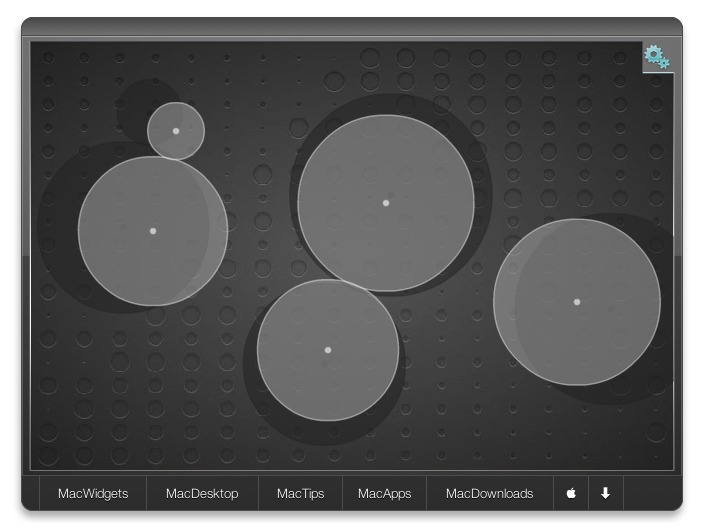 Circuli is a generative sound generator that helps you create ambient soundscapes to listen and have fun right in your dashboard. Circles grow at a constant rate. No two circles can overlap. Bigger circle pushes and shrinks smaller circle when in contact. A circle "pops" and makes a sound when its boundary intersects with the center of another circle. The pitch of the sound is determined by the position of the circle on the background. Bigger the hole, higher the pitch. Circuli needs a review. Be the first to review this app and get the discussion started! Circuli needs a rating. Be the first to rate this app and get the discussion started! The envelope of the produced sound is determined by a number of parameters including final circle size and time of interaction between two involved circles.